The Digital Innovative Design and Technology Center (DIDTC) launches a new collaboration with DigiPen Game Studios (DGS) to help Thai game developers develop and publish games for Nintendo Switch™. During the press conference earlier today, Mr. Tanat Jiravansirikul, Director of DIDTC, announced this new venture as part of DIDTC’s efforts to develop the game industry in Thailand. This collaboration provides an opportunity for Thai game developers, who are mostly developing for mobile or PC, to work on Nintendo Switch™. It opens up an additional avenue for Thai developers to bring their games to the global market. DIDTC will provide Thai game developers with technical support and incubation facilities throughout their development period so that more game developers can get involved in console development. As DIDTC is located within Thammasat University, Thai game developers (who choose to incubate with DIDTC) can also tap into Thammasat’s manpower resources. In addition, students from Thammasat University, who have the opportunity to be involved in this venture, will also benefit from having hands-on experience in developing games for Nintendo Switch™. “DIDTC is eager to put forward all available resources, such as our faculty, students and our lecturers from the industry involved in teaching at Thammasat University. For the benefit of pushing forward a new era of Thai digital content, we hope that this collaboration will highlight the potential of the Thai developers in IP creation, in addition to being skilled game developers, and this will generate another source of income.” said Mr. Tanat Jiravansirikul, Director, Digital Innovative Design and Technology Center Co., Ltd.
Games developed through this collaboration will be published globally onto the Nintendo eShop through DigiPen Game Studios. Based in Singapore, DigiPen Game Studios (DGS) is the publishing arm of DigiPen Institute of Technology Singapore (DITS). DigiPen is already collaborating with DIDTC/Thammasat University on the education front to train Thammasat students for the digital economy. This new venture between DGS and DIDTC will be an extension of the current education collaboration and will bring education and industry closer together in Thailand. 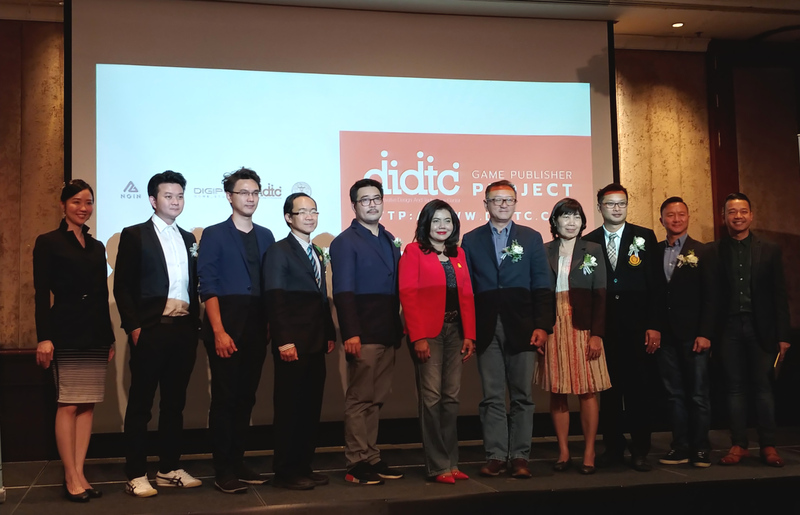 “DigiPen Game Studios is delighted to work with DIDTC to provide an avenue for Thai game developers to bring their games onto a fast growing global platform. In addition, this will build upon DigiPen’s current education collaboration with DIDTC/Thammasat University. We will not only train Thai students in creative digital technology and innovative digital design, we can now provide the nexus for these students to work with Thai game developers as well,” said Mr. Tan Chek Ming, Managing Director, DigiPen Game Studios. Thai game developers welcome the collaboration and some game developers are already planning to get on board. “This is a great project that allows developers to maximize their IP and gain exposure for their games, and it provides another great opportunity to promote them in the market,’’ said Nenin Ananbanchachai, Cofounder & Developer, Extend Interactive Co., Ltd.
“The game industry in Thailand is growing,” said Ms. Surangkana Wayuparb, Chief Executive Officer of Electronic Transactions Development Agency (ETDA), Ministry of Digital Economy and Society. “In the last five years, the proliferation of gaming and electronic devices together with the increased popularity of eSports have boasted the game ecosystem in Thailand. Today, games with realistic graphics are more fun and attracts consumers of all ages to play,” Ms Surangkana elaborated. Ms Surangkana adds that “many education institutions have adjusted to this growth by offering game design programs that combines storytelling, character design and also marketing. Last year, the revenue from Thai games grew by 16,328 million Baht. It is estimated that Thailand’s game industry will grow by 12% yearly. With this projection, it gives ETDA great pleasure to support Digital Innovative Design and Technology Center (DIDTC) and DigiPen Game Studio’s (DGS) collaboration to help Thai game developers and promote innovation and creativity for Thailand’s game industry. This collaboration will enhance the Thailand 4.0 Policy where ETDA develops and supports industries that generate digital content such as games. 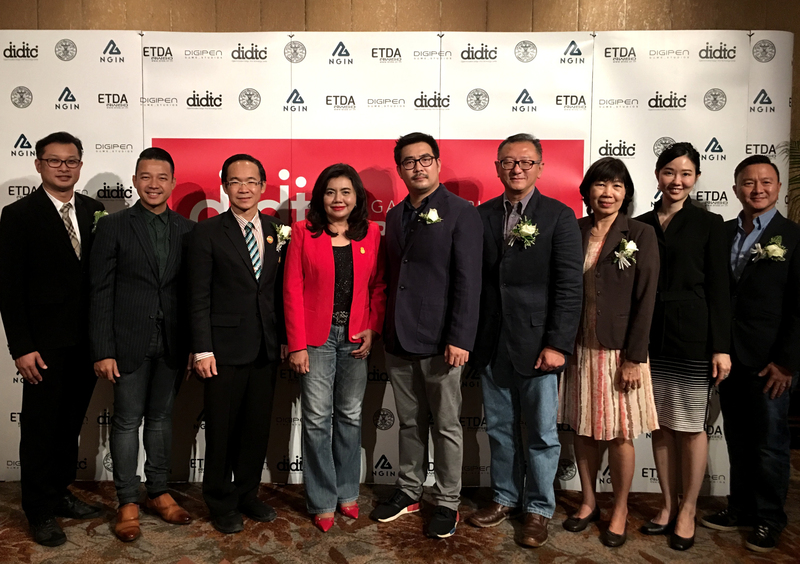 Since digital content can be used as a tool to bring awareness to the growing Thai game industry and also as an e-commerce product, ETDA believes that by supporting this collaboration, digital content will impact the larger e-commerce industry”. ⟵Zesty Turtle Surprise, the Platform-Puzzle game arrives!